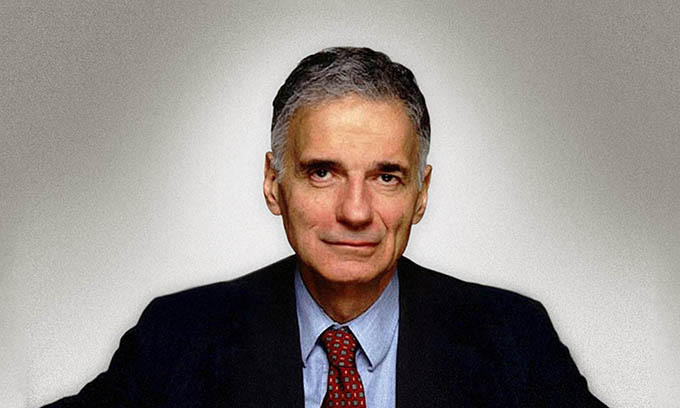 Ralph Nader, American political activist, author, lecturer and attorney, noted for his involvement in consumer protection, environmentalism and government has been named speaker for Sonoma State University’s annual H. Andréa Neves and Barton Evans Social Justice Lecture Series in 2018. Nader will speak March 5 at 7:30 p.m. in Weill Hall of the university’s Green Music Center. His topic is “One Person Can Make a Difference: Social Justice and World Affairs.” Tickets are now available. The lecture series hosted by the Green Music Center kicks off Social Justice Week, an annual event at Sonoma State University sponsored by the Sociology Social Justice and Activism Club and other campus groups. Access, equity and other central themes of social Justice are at the heart of Sonoma State University’s mission, and a priority of the current administration. Dean of the School of Social Sciences John Wingard said the lecture series, made possible by the generosity of Andréa Neves and the late Barton Evans, is a critical component of the university’s efforts. Nader’s analyses and advocacy have enhanced public awareness and increased government and corporate accountability for decades. His example has inspired a generation of consumer advocates, citizen activists and public interest lawyers, who in turn have established their own organizations throughout the country. He first made headlines as a young lawyer in 1965 with his book “Unsafe at Any Speed,” a scathing indictment that lambasted the auto industry for producing unsafe vehicles. The book led to congressional hearings and the passage of a series of automobile safety laws in 1966. In his most recent book, “Breaking Through Power,” Nader draws from a lifetime waging—and often winning—David vs. Goliath battles against big corporations and the United States government. One of his top priorities is defending the U.S. civil justice system. Corporate lobbyists and anti-consumer legislators have worked on both the federal and state levels to restrain consumers' rights to seek justice in court against wrongdoers in the area of product liability, securities fraud and medical negligence. Nader continues working to advance meaningful civic institutions and citizen participation as an antidote to corporate and government unaccountability. The H. Andréa Neves and Barton Evans Social Justice Lecture Series is sponsored by philanthropist and former SSU professor Andréa Neves and her late husband, Silicon Valley engineer and executive Barton Evans. It is co-hosted annually by the School of Education and School of Social Sciences. Beginning in 2005, the series invites a distinguished and inspiring speaker to address the topic of social justice in a public lecture at Sonoma State University. Past speakers have included Cornel West, Dolores Huerta, Julian Bond, Jonathan Kozol, and many others.